Globber - scooter fun for everyone! Globber – scooter fun for everyone! Fun that’s hard to beat usually involves wheels. 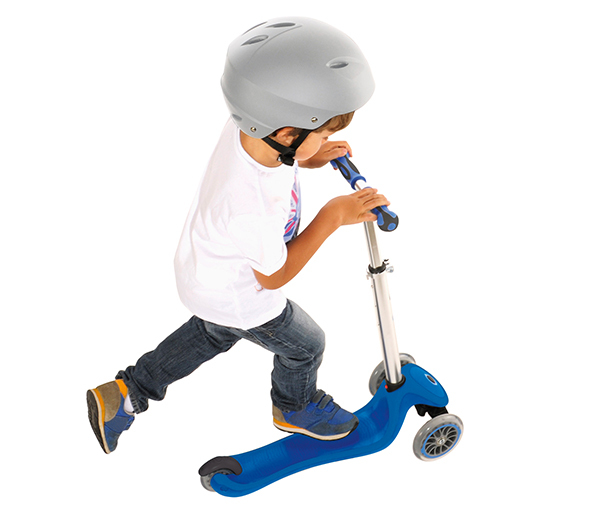 Kids love to scoot and thanks to Globber, even the youngest kids can get in on the scooter action! 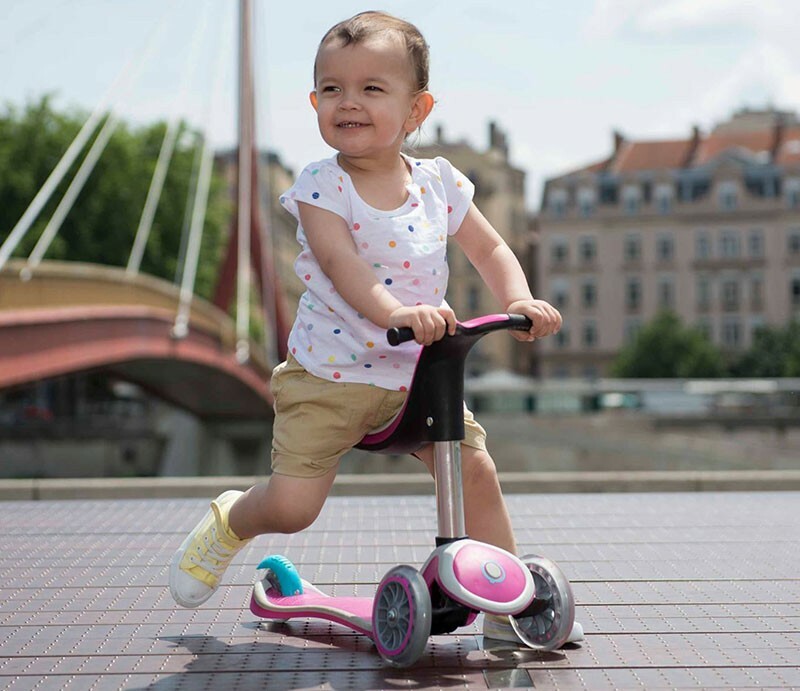 The awesome design of the MyFree 5-in-1 Scooter ($200) makes it a fantastic scooter for getting children scooting from as young as one year. Handlebars and a seat make for a steady introduction, complete with adult steering in the back. As confidence builds, the steering bar can be removed for a simple sit and scoot and finally, the seat and handlebars can be removed and replaced with the steering bar set at child height. That’s some serious longevity! Globber caters for older kids too. 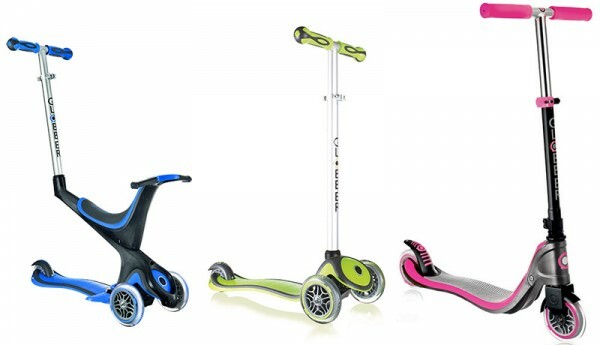 The MyFree Up Scooter ($130) is a fabulous fit for three to six year olds and the MyToo Fix Up Scooter ($140) is great for kids aged six and over. It can hold up to 100 kilograms, which means older and heavier siblings won’t break it when they sneak a turn. Globber scooters are available from Toy Fiesta, who will even deliver them for free.